Pemberville is the best-kept secret in Northwest Ohio. Located in Excellent Rated Eastwood School System, it boasts many amenities. 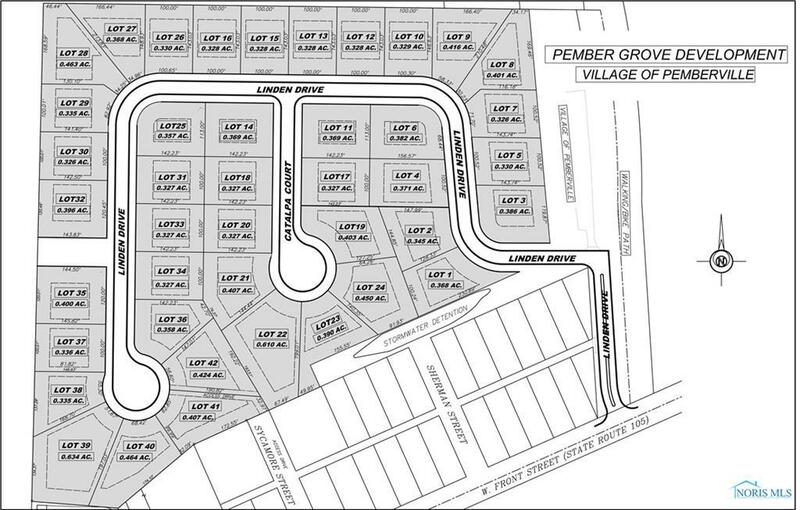 The new Pember Grove Subdivision is the next best secret. Finally, somewhere to build and choose your own builder. No HOA or fees. 42 Lots to choose from. Any Prepaid lots will need to be closed on within 30 days upon completion of Infra-structure. Listing provided courtesy of Denny Henlines Home Town Realt. © 2019 NORIS. All Rights Reserved. Information Deemed Reliable But Not Guaranteed.